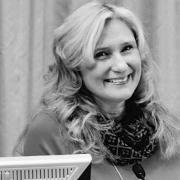 Anita Salamonsen, associate professor at RKBU North - Regional Centre for Child and Youth Mental Health and Child Welfare, Faculty of Health Sciences at UiT the Arctic University of Norway. Salamonsen holds a PhD in medical sociology. Her research mainly examines user involvement, communication and patient safety, including multi-disciplinary studies of patient pathways, commitment and trust in healthcare and child welfare, person-centered care, complementary and alternative medicine, traditional medicine, decision-making, patient-provider communication, and risk understandings. Hansen, Frank; Berntsen, Gro Karine Rosvold; Salamonsen, Anita. “What matters to you?” A longitudinal qualitative study of Norwegian patients’ perspectives on their pathways with colorectal cancer. International Journal of Qualitative Studies on Health and Well-being 2018; Volum 13 (1). ISSN 1748-2623.s 1 - 11.s doi: 10.1080/17482631.2018.1548240. Larsen, Anette Langås; Salamonsen, Anita; Kristoffersen, Agnete Egilsdatter; Stub, Trine. "The prayer circles in the air": a qualitative study about traditional healer profiles and practice in Northern Norway.. International Journal of Circumpolar Health 2018; Volum 77. ISSN 1239-9736.s 1 - 14.s doi: 10.1080/22423982.2018.1476638. Larsen, Anette Langås; Salamonsen, Anita; Kristoffersen, Agnete Egilsdatter; Hamran, Torunn; Evjen, Bjørg; Stub, Trine. ”We own the illness”: a qualitative study of networks in two communities with mixed ethnicity in Northern Norway. International Journal of Circumpolar Health 2018; Volum 77 (1). ISSN 1239-9736.s 1 - 13.s doi: 10.1080/22423982.2018.1438572. Larsen, Anette Iren Langås; Salamonsen, Anita; Kristoffersen, Agnete Egilsdatter; Hamran, Torunn; Evjen, Bjørg; Stub, Trine. "There are more things in heaven and earth!" How knowledge about traditional healing affects clinical practice: Interviews with conventional health personnel. International Journal of Circumpolar Health 2017; Volum 76. ISSN 1239-9736.s doi: 10.1080/22423982.2017.1398010. Salamonsen, Anita; Ahlzen, Rolf. Epistemological challenges in contemporary Western healthcare systems exemplified by people’s widespread use of complementary and alternative medicine. (data) Health 2017; Volum 22 (4). ISSN 1363-4593.s 356 - 371.s doi: 10.1177/1363459317693408. Mulkins, Andrea; McKenzie, Emily; Balneaves, Lynda; Salamonsen, Anita; Verhoef, Marja. From the conventional to the alternative: Exploring patients' pathways of cancer treatment and care. Journal of Complementary and Integrative Medicine 2016; Volum 13 (1). ISSN 1553-3840.s 51 - 64.s doi: 10.1515/jcim-2014-0070. Stub, Trine; Quandt, Sara A.; Arcury, Thomas A; Sandberg, Joanne C.; Kristoffersen, Agnete Egilsdatter; Musial, Frauke; Salamonsen, Anita. Perception of risk and communication among conventional and complementary health care providers involving cancer patients' use of complementary therapies: A literature review. BMC Complementary and Alternative Medicine 2016; Volum 16 (1). ISSN 1472-6882.s 1 - 14.s doi: 10.1186/s12906-016-1326-3. Salamonsen, Anita; Kiil, Mona Anita; Kristoffersen, Agnete Egilsdatter; Stub, Trine; Berntsen, Gro Karine Rosvold. "My cancer is not my deepest concern": life course disruption influencing patient pathways and health care needs among persons living with colorectal cancer. (fulltekst) Patient Preference and Adherence 2016; Volum 10. ISSN 1177-889X.s 1591 - 1600.s doi: 10.2147/PPA.S108422. Sirois, Fuschia; Salamonsen, Anita; Kristoffersen, Agnete Egilsdatter. Reasons for continuing use of Complementary and Alternative Medicine (CAM) in students: a consumer commitment model. (data) (fulltekst) BMC Complementary and Alternative Medicine 2016; Volum 16 (75). ISSN 1472-6882.s doi: 10.1186/s12906-016-1059-3. Kristoffersen, Agnete Egilsdatter; Musial, Frauke; Hamre, Harald Johan; Björkman, Lars; Stub, Trine; Salamonsen, Anita; Alræk, Terje. Use of complementary and alternative medicine in patients with health complaints attributed to former dental amalgam fillings. BMC Complementary and Alternative Medicine 2016; Volum 16 (22). ISSN 1472-6882.s doi: 10.1186/s12906-016-0996-1. Nesby, Linda; Salamonsen, Anita. Youth blogging and serious illness. Medical Humanities 2016; Volum 42 (1). ISSN 1468-215X.s 46 - 51.s doi: 10.1136/medhum-2015-010723. Salamonsen, Anita. Use of complementary and alternative medicine in patients with cancer or multiple sclerosis: Possible public health implications. (data) European Journal of Public Health 2016; Volum 26 (2). ISSN 1101-1262.s 225 - 229.s doi: 10.1093/eurpub/ckv184. Stub, Trine; Musial, Frauke; Quandt, Sara A.; Arcury, Thomas A; Salamonsen, Anita; Kristoffersen, Agnete Egilsdatter; Berntsen, Gro Karine Rosvold. Mapping the risk perception and communication gap between different professionals of healthcare providers in cancer care: a cross-sectional protocol. BMJ Open 2015; Volum 5 (9). ISSN 2044-6055.s doi: 10.1136/bmjopen-2015-008236. Stub, Trine; Salamonsen, Anita; Kristoffersen, Agnete Egilsdatter; Musial, Frauke. How to Handle Worsening of Condition during Treatment-Risk Assessment in Homeopathic Practice. Forschende Komplementärmedizin 2015; Volum 22 (1). ISSN 1661-4119.s 30 - 35.s doi: 10.1159/00377644. Salamonsen, Anita. Mind the Gap! Lay and Medical Perceptions of Risks Associated with the Use of Alternative Treatment and Conventional Medicine. Forschende Komplementärmedizin 2015; Volum 22 (1). ISSN 1661-4119.s 24 - 29.s doi: 10.1159/000376555. Kristoffersen, Agnete Egilsdatter; Stub, Trine; Salamonsen, Anita; Musial, Frauke; Hamberg, Katarina. Gender differences in prevalence and associations for use of CAM in a large population study. BMC Complementary and Alternative Medicine 2014; Volum 14:463 (463). ISSN 1472-6882.s doi: 10.1186/1472-6882-14-463..
Salamonsen, Anita. Exploring "Exceptional" or Unusual Courses of Disease: Methodology and Learning Outcomes. (data) Sage Publications 2014 ISBN 9781446273050.s 1 - 23.s doi: 10.4135/978144627305013511026. Salamonsen, Anita. Doctor-patient communication and cancer patients' choice of alternative therapies as supplement or alternative to conventional care. Scandinavian Journal of Caring Sciences 2013; Volum 27 (1). ISSN 0283-9318.s 70 - 76.s doi: 10.1111/j.1471-6712.2012.01002.x. Kiil, Mona Anita; Salamonsen, Anita. Embodied health practices:The use of Traditional Healing and Conventional Medicine in a North Norwegian Community. Academic Journal of Interdisciplinary Studies 2013; Volum 2 (3). ISSN 2281-3993.s 483 - 488.s doi: 10.5901/ajis.2013.v2n3p483. Kruse, Tove Elisabeth; Salamonsen, Anita. "Veien videre: Kunnskap i praksis". Gyldendal Akademisk 2012 ISBN 9788205395237.s 173 - 182. Kruse, Tove Elisabeth; Salamonsen, Anita. "Det er pasienten som virker". Gyldendal Akademisk 2012 ISBN 9788205395237.s 135 - 154. Sandaunet, Anne Grete; Salamonsen, Anita. CFS-/ME-pasienters ulike erfaringer med Lightning Process. Sykepleien Forskning 2012; Volum 7 (3). ISSN 1890-2936.s 262 - 268. Stub, Trine; Salamonsen, Anita; Alræk, Terje. Is It Possible to Distinguish Homeopathic Aggravation from Adverse Effects? A Qualitative Study. Forschende Komplementärmedizin 2012; Volum 19 (1). ISSN 1021-7096.s 13 - 19.s doi: 10.1159/000335827. Stub, Trine; Alræk, Terje; Salamonsen, Anita. The Red flag! risk assessment among medical homeopaths in Norway: a qualitative study. BMC Complementary and Alternative Medicine 2012; Volum 12. ISSN 1472-6882.s doi: 10.1186/1472-6882-12-150. Salamonsen, Anita; Kruse, Tove Elisabeth; Eriksen, Sissel H.. Modes of Embodiment in Breast Cancer Patients Using Complementary and Alternative Medicine. (data) Qualitative Health Research 2012; Volum 22 (11). ISSN 1049-7323.s 1497 - 1512.s doi: 10.1177/1049732312457077. Salamonsen, Anita; Launsø, Laila; Kruse, Tove Elisabeth; Eriksen, Sissel H.. Understanding unexpected courses of multiple sclerosis among patients using complementary and alternative medicine: A travel from recipient to explorer. International Journal of Qualitative Studies on Health and Well-being 2010; Volum 5 (2). ISSN 1748-2623.s doi: 10.3402/qhw.v5i2.5032. Launsø, Laila; Salamonsen, anita. Register for Exceptionelle Sygdomsforløb. Omsorg: Nordisk tidsskrift for Palliativ Medisin 2006; Volum 3 (23). ISSN 0800-7489.s 77 - 81. Kruse, Tove Elisabeth; Salamonsen, Anita. Alternative veier. Pasienter med eksepsjonelle sykdomsforløp. (omtale) Gyldendal Akademisk 2012 ISBN 9788205395237.s 135 - 154. Salamonsen, Anita; Torrissen, Wenche. Amateur theatre and user participation as health promotion in Nordic mental health care: Empirical patterns ans sociological reflections. Nordic Arts & Health Research Conference 2018-11-07 - 2018-11-08 2018. Torrissen, Wenche; Salamonsen, Anita. "This has saved me and given me a new life": Acting and recovery from psychosocial problems. Cultural Crossings of Care 2018-10-26 - 2018-10-27 2018. Viksveen, Petter; Bjønness, Stig Erlend; Berg, Siv Hilde; Salamonsen, Anita; Cardenas, Nicole Elizabeth; Game, Julia Rose; Aase, Karina; Storm, Marianne. User involvement in adolescents’ mental healthcare: A systematic review. 5th Nordic Conference on Research in Patient Safety and Quality in Healthcare 2018-08-30 - 2018-08-31 2018. Salamonsen, Anita. Derfor brukes alternativ behandling ved kreft. 2018. Salamonsen, Anita. Utfordringer knyttet til brukermedvirkning i tjenester som involverer barn og unge: Mange spørsmål, noen svar. Internundervisning UNN 2018-06-08 - 2018-06-08 2018. Torrissen, Wenche; Salamonsen, Anita; Danielsen, Elin; Bremer, Leif. Aktiv deltakelse i amatørteater gir bedre helse! Lovende nytt tiltak ved CRUX huset oppfølgingssenter i Tromsø diskuteres på seminar 23. og 24. mai 2018. Bladet Nordlys 2018. Larsen, Anette Langås; Salamonsen, Anita; Kristoffersen, Agnete Egilsdatter; Hamran, Torunn; Evjen, Bjørg; Stub, Trine. «Vi eier sykdommen» en kvalitativ studie om nettverket til pasienten. Faglig foredrag. Niejda, forening for samiske jenter og kvinner i hele Sábme 2018-03-03 - 2018. Salamonsen, Anita. Hva skjer når livshendelser inkluderes i forståelsen av pasientforløpsbegrepet?. Seminar forskningsgruppen SHEP 2017-12-13 - 2017-12-13 2017. Salamonsen, Anita; Nordbrenden, Unni. Hva er viktig for deg, som pasient?. (fulltekst) 2017. Salamonsen, Anita; Lauritsen, Eivind Nicolai. Kreftpasienter som kun brukte alternativ medisin hadde større risiko for å dø. (fulltekst) 2017. Salamonsen, Anita; Wiesener, Solveig. Are differing risk perceptions related to patients’ use of CAM a barrier to doctor-patient communication in comprehensive patient care?. BMC Complementary and Alternative Medicine 2017; Volum 17. ISSN 1472-6882.s doi: /10.1186/s12906-017-1782-4. Salamonsen, Anita; Slettli Hansen, Christel. Helsepersonell ønsker mer kunnskap om alternativ behandling. (data) (fulltekst) 2017. Salamonsen, Anita; Johansson, Solveig. Register for eksepsjonelle sykdomsforløp: RESF årsrapport for 2016. (data) (fulltekst) 2017. Salamonsen, Anita; Bakken, Solveig Rostøl; Hansen, Frank; Berntsen, Gro Karine Rosvold. Pasientforløp og behandlingsbehov sett fra pasienters perspektiv. (data) (fulltekst) Sykepleien 2017. ISSN 0802-9768. Salamonsen, Anita; Bakken, Solveig Rostøl; Hansen, Frank; Berntsen, Gro Karine Rosvold. Pasientforløp og behandlingsbehov sett fra pasienters perspektiv. (data) (fulltekst) Kreftsykepleien 2017; Volum 1. ISSN 0804-0567.s 12 - 19. Wolden, Marte; Salamonsen, Anita. Alternativ behandling og kreft. (fulltekst) Kreftsykepleien 2017; Volum 1. ISSN 0804-0567.s 3 - . Larsen, Anette Iren Langås; Salamonsen, Anita; Kristoffersen, Agnete Egilsdatter; Hamran, Torunn; Evjen, Bjørg; Stub, Trine. "There are more things in heaven and earth!" How knowledge about traditional healing affects clinical practice. Interviews with conventional health personnel.. International conference on patieng stories in context 2017-01-23 - 2017-01-24 2017. Larsen, Anette Iren Langås; Salamonsen, Anita; Kristoffersen, Agnete Egilsdatter; Hamran, Torunn; Evjen, Bjørg; Stub, Trine. "There are more things in heaven and earth!" How knowledge about traditional healing affects clinical practice: Interviews with conventional health personnel. World Congress integrative Medicine & Health 2017, WCIMH 2017 2017-05-03 - 2017-05-05 2017. Salamonsen, Anita; Wiesener, Solveig. Gaps in risk perceptions are barriers to doctor-patient communication about CAM. World Congress Integrative Medicine and Health 2017 2017-05-02 - 2017-05-05 2017. Salamonsen, Anita. Forskjellige risikooppfatninger blant brukere av alternativ behandling og deres leger - mulige implikasjoner for pasientsikkerhet og risikokommunikasjon. Best Practice Psykiatri/Nevrologi 2017 (1).s 28 - 30. Salamonsen, Anita; Bakken, Solveig Rostøl. The importance of patient stories and user involvement in research and evaluation of health care services. Patient Stories in Context 2017-01-23 - 2017-01-24 2017. Larsen, Anette Iren Langås; Foss, Nina; Hamran, Torunn; Evjen, Bjørg; Salamonsen, Anita; Kristoffersen, Agnete Egilsdatter; Stub, Trine. En kvalitativ studie av helsepersonell sin kunnskap om tradisjonell helbredelse (læsing). Forskningskonferansen 2016 2016-11-03 - 2016-11-03 2016. Johansson, Solveig; Salamonsen, Anita. Har du erfaringer med alternativ behandling?. AstmaAllergi 2016; Volum 56 (5). ISSN 0801-3799.s 30 - 31. Salamonsen, Anita; Johansson, Solveig. Register for eksepsjonelle sykdomsforløp RESF - Årsrapport for 2015. (data) (fulltekst) 2016. Salamonsen, Anita. Life stories as tools to change public health care systems.. International Conference on Narratives of Health and Illnesses 2016-11-10 - 2016-11-12 2016. Salamonsen, Anita. Ulike risikoforståelser blant brukere av alternativ behandling og deres leger - en pilotstudie. Forskningskonferansen 2016 2016-11-02 - 2016-11-03 2016. Salamonsen, Anita. Pasienters begrunnelser for å bruke alternativ behandling - nyttig for "pasientens helsetjeneste"?. Forskningskonferansen 2016 2016-11-02 - 2016-11-03 2016. Salamonsen, Anita. Forskjeller i risikoforståelser mellom brukere av alternativ behandling og deres leger. Implikasjoner for kommunikasjon og pasientsikkerhet. Pasientsikkerhetskonferansen 2016 2016-09-21 - 2016-09-22 2016. Johansson, Solveig; Salamonsen, Anita. Hvordan kan din historie gi oss viktig kunnskap?. NORGES MYALGISK ENCEFALOPATI FORENING • NYHETSBREV 2016 (2 September 2016).s 26 - 27. Johansson, Solveig; Salamonsen, Anita. Gode og dårlige erfaringer. Positiv 2016 (3).s 16 - 17. Stub, Trine; Salamonsen, Anita; Alræk, Terje. Safety of treatment provided by homeopaths. 9th European Congress for Integrative medicine 2016-09-09 - 2016-09-11 2016. Kristoffersen, Agnete Egilsdatter; Musial, Frauke; Hamre, Harald Johan; Björkman, Lars; Stub, Trine; Salamonsen, Anita; Alræk, Terje. Use of complementary and alternative medicine in patients with health complaints attributed to former dental amalgam fillings. 9th European Congress For Integrative Medicine 2016-09-09 - 2016-09-11 2016. Salamonsen, Anita. -At jeg er kreftsyk er ikke mitt største problem: Nordmenn ønsker et mer helhetlig behandlingstilbud. (data) (fulltekst) 2016. Johansson, Solveig; Salamonsen, Anita. Hvordan kan du bidra til forskning?. (data) M.E.-Kanalen. Tidsskrift for M.E. Nettverket i Norge 2016; Volum 25 (1).s 45 - 46. Salamonsen, Anita; Frenkel, Moshe. Health professionals and cancer patients: How to communicate effectively about complementary, integrative and alternative medicine. CAM-Cancer Consortium [online document cam-cancer.org].. (data) (fulltekst) 2016. Salamonsen, Anita. Systematisk registrering av pasienterfaringer gjennom 13 år: Bakgrunn, rutiner, resultater og veien videre. Forskningsgruppemøte HAS 2016-02-15 - 2016-02-15 2016. Kristoffersen, Agnete Egilsdatter; Stub, Trine; Salamonsen, Anita; Kiil, Mona Anita. Use of traditional folk medicine among cancer patients in Northern Norway. . 11th International Conference of the Society for Integrative Oncology 2015-11-14 - 2015-11-16 2015. Salamonsen, Anita; Johansson, Solveig; Drageset, brit johanne. RESF årsrapport for 2014. 2015. Salamonsen, Anita; Kiil, Mona Anita; Kristoffersen, Agnete Egilsdatter; Stub, Trine; Berntsen, Gro Karine Rosvold. Understanding patient pathways and health care needs among persons living with colorectal cancer. Society for Integrative Oncology 12th International Conference 2015-11-14 - 2015-11-16 2015. Stub, Trine; Quandt, Sara A.; Arcury, Thomas A.; Sandberg, Joanne C.; Musial, Frauke; Salamonsen, Anita. Perception of risk and communication among conventional and complementary health care providers involving cancer patients' use of complementary therapies: A literature review. 12 th International Conference "Integrative Innovation," Society for Integrative Oncology 2015-11-14 - 2015-11-16 2015. Salamonsen, Anita. Forskning på gode sykdomsforløp - hva kan vi lære?. (data) (fulltekst) 2015. Nordbrenden, Unni; Salamonsen, Anita. Historier om bruk av alternativ behandling er verdifulle. (data) (fulltekst) 2015. Salamonsen, Anita. Hva kan vi lære av gode sykdomsforløp knyttet til bruk av alternativ behandling?. Seminar om gode sykdomsforløp knyttet til bruk av alternativ behandling 2015-10-27 - 2015-10-27 2015. Brøndbo, Stig; Salamonsen, Anita. Ser på sykdomsbloggene i et historisk perspektiv. (fulltekst) 2015. Salamonsen, Anita; Johansson, Solveig. Registry of Exceptional Courses of Disease: Here is your opportunity to study patients’ own experiences with alternative medicine. "Snakk med en forsker" 2015-09-16 - 2015-09-27 2015. Salamonsen, Anita. A Commentary to Teut M, Stöckigt B, Holmberg C, Besch F, Witt CM, Jeserich F: Perceived outcomes of spiritual healing and explanations – a qualitative study on the perspectives of German healers and their clients.. Forschende Komplementärmedizin 2015; Volum 22 (2). ISSN 1661-4119.s 6 - 7. Røe Mathisen, Johanne; Kristoffersen, Agnete Egilsdatter; Salamonsen, Anita. Hvor stor nytte har vi av alternativ medisin?. 2015. Kristoffersen, Agnete Egilsdatter; Salamonsen, Anita; Sohlén, Åsa. Internasjonal studie av holdninger og behandlingsvalg. (data) 2015. Nordbrenden, Unni; Kristoffersen, Agnete Egilsdatter; Salamonsen, Anita. Bli med på viktig kartlegging av behandlingsvalg!. (data) (fulltekst) 2015. Høifødt, Birgitte Finne; Kristoffersen, Agnete Egilsdatter; Salamonsen, Anita. Skal undersøke brukererfaringer av det offentlige helsevesenet og alternativ behandling. (data) (fulltekst) 2015. Høifødt, Birgitte Finne; Nesby, Linda; Salamonsen, Anita. Pasienthistorier kan bidra til bedre behandling. (data) 2015. Salamonsen, Anita; Lillenes, Ola. Greit om medisinplanter i Norge. Tidsskrift for Den norske legeforening 2015; Volum 135 (3). ISSN 0029-2001.s 258 - . Strand, Nina; Nesby, Linda; Salamonsen, Anita. - La pasienten være førsteforfatter!. 2015. Salamonsen, Anita; Solum, Eirik Svenke. Doktorgrad om alternativ behandling. (data) 2014. Micko, Jenny; Lillenes, Ola; Salamonsen, Anita. Flere velger alternativt. 2014. Høifødt, Birgitte Finne; Nesby, Linda; Salamonsen, Anita. Brukerhistorier kan bedre og utvikle helsetjenestene. 2014. Ettung, Grethe; Nesby, Linda; Salamonsen, Anita. Pasient- og pårørendetekster kan forbedre helsetjenestene. 2014. Salamonsen, Anita. «Å ha kreft er ikke min største utfordring»: Studie av pasientforløp som inkluderer livshistorier. Narrativt seminar 2014-12-11 - 2014-12-11 2014. Salamonsen, Anita; Baumgarten-Austrheim, Barbara; Leithe, Ingrid. NAFKAM ser nærmere på bruk av omstridt behandling. (data) 2014. Salamonsen, Anita. Vet de hva de gjør?. 2014 ISBN 978-82-999806-0-9.s 103 - 105. Salamonsen, Anita; Nesby, Linda. Halvparten så vanskelig - dobbelt så morsomt: Om sampublisering av artikler og kronikker. Seminar for Ph.D. studenter og veiledere ved IKL og ISS 2014-11-10 - 2014-11-10 2014. Salamonsen, Anita; Drageset, brit johanne; Eriksen, Leila. Register for eksepsjonelle sykdomsforløp. Registrering, forskning og relevans. Møte i Sundhedsstyrelsens Råd vedr. alternativ behandling (SRAB) 2014-11-14 - 2014-11-14 2014. Salamonsen, Anita. Sykdom i skrift: Illness as biographical disruption. Forelesning på kurset NOR-3145 Sykdom i skrift 2014-09-17 - 2014-09-17 2014. Nesby, Linda; Salamonsen, Anita. Kan pasienttekster ha medisinsk relevans?. Tidsskrift for Den norske legeforening 2014; Volum 134 (14). ISSN 0029-2001.s 1366 - 1368.s doi: 10.4045/tidsskr.14.0218. Salamonsen, Anita. Grensevandrere. Sykepleien Forskning 2014; Volum 9 (1). ISSN 1890-2936.s 98 - . Salamonsen, Anita; Reynolds, Elisabeth H. Gir alternativ behandling en helsegevinst - eller er det en helserisiko?. 2014. Salamonsen, Anita; Drageset, brit johanne. Register for eksepsjonelle sykdomsforløp, RESF: Årsrapport 2013. (data) 2014. Nesby, Linda; Salamonsen, Anita. Oversett og undervurdert. Dagbladet 2014. ISSN 0805-3766. Nesby, Linda; Salamonsen, Anita. Autentisitet og empowerment i bloggbaserte patografier. Nordic network for narrative medicine 2014-05-05 - 2014-05-06 2014. Salamonsen, Anita. Helsegevinst og risiko ved bruk av alternativ behandling. Naturterapeuten. Tidsskrift for naturmedisin 2014; Volum 20 (1).s 18 - 19. Salamonsen, Anita; Drageset, brit johanne. Din praksis kan danne grunnlag for forskning!. Naturterapeuten. Tidsskrift for naturmedisin 2014; Volum 20 (1).s 16 - 17. Salamonsen, Anita; Berg, Sigrun Høgetveit. Alternativ behandling utfordrer helsevesenet. 2013. Salamonsen, Anita. Forskere dokumenterer eksepsjonelle sykdomsforløp. 2013. Salamonsen, Anita; Fønnebø, Vinjar Magne. Forskningen trenger klientenes erfaringer. 2013. Salamonsen, Anita; Berg, Sigrun Høgetveit. Alternativ behandling utfordrar helsevesenet. (data) 2013. Salamonsen, Anita; Berg, Sigrun Høgetveit. Kva for positive erfaringar har pasienter med alternativbehandling?. (data) 2013. Salamonsen, Anita; Nordbrenden, Unni. Dialog om alternativ behandling gir helsegevinst. 2013. Salamonsen, Anita; Nordbrenden, Unni. Dialog om alternativ behandling gir helsegevinst. (data) 2013. Salamonsen, Anita. Boundary walkers. The use of complementary and alternative medicine in a Scandinavian health care context. 2013 ISBN 978-82-92672-06-8. Salamonsen, Anita. Boundary walkers. The use of complementary and alternative medicine in a Scandinavian health care context. 2013 ISBN 978-82-8244-106-3. Kiil, Mona Anita; Salamonsen, Anita. Making sense of mental illness. Culture and emotion in a North Norwegian community. 3rd International Conference on Human and Social Sciences ICHSS 2013 2013-09-19 - 2013-09-22 2013. Salamonsen, Anita; Kiil, Mona Anita; Eriksen, Sissel H.. Refleksive kroppsteknikker og helsestrategier blant brukere av konvensjonell og alternativ behandling. Årskonferanse for Norsk Antropologisk Forening 2013-05-03 - 2013-05-05 2013. Salamonsen, Anita; Kiil, Mona Anita. Stories of life-course disruption: A theoretical approach to understand patient pathways which include non-conventional health practices. Forschende Komplementärmedizin und klassische Naturheilkunde 2013; Volum 20. ISSN 1424-7364.s 26 - . Salamonsen, Anita. Capturing Lay and Medical Health Risk Theories: A Social Science Approach to Risk Research in the Field of CAM. Forschende Komplementärmedizin und klassische Naturheilkunde 2013; Volum 20. ISSN 1424-7364.s 36 - 37. Salamonsen, Anita. Mind the Gap! A Qualitative Study on Lay and Medical Perceptions of Risks Associated with CAM and Conventional Medicine. Forschende Komplementärmedizin und klassische Naturheilkunde 2013; Volum 20. ISSN 1424-7364.s 102 - 103. Kiil, Mona Anita; Salamonsen, Anita. Å gripe og begripe psykisk uhelse:Representasjoner av kultur og emosjoner i en nord-norsk kontekst. Årskonferanse for Norsk Antropologisk Forening 2013-05-03 - 2013-05-05 2013. Fønnebø, Vinjar Magne; Salamonsen, Anita; Drageset, brit johanne. Register for eksepsjonelle sykdomsforløp, RESF: Årsrapport for 2012. 2013. Salamonsen, Anita. Brukere av alternativ behandling - vet de hva de gjør?. Naturterapeuten. Tidsskrift for naturmedisin 2013 (1). Salamonsen, Anita. Mind the gap! A qualitative study on lay and medical perceptions of risks associated with CAM and conventional medicine. ICCMR 2013 2013-04-11 - 2013-04-13 2013. Kiil, Mona Anita; Salamonsen, Anita. Stories of Life-Course Disruption: A Theoretical Approach to Understand Patient Pathways which include non-coventional Health Practices. 8th annual congress of the International Society for Complementary Medicine Research 2013-04-11 - 2013-04-13 2013. Salamonsen, Anita; Solum, Eirik Svenke. Eksepsjonelle sykdomsforløp og ny forskning. 2013. Salamonsen, Anita; Førde, Olav. Ønsker seg flere uvanlige sykdomsforløp:-Mange lever uventet godt. 2013. Kruse, Tove Elisabeth; Salamonsen, Anita. Exceptionelle sygdomsforløb. 2013. Salamonsen, Anita; Førde, Olav. Nytt MS-blad ute: Mange lever uventet godt. (data) 2013. Salamonsen, Anita. Vet brukerne hva de gjør?. (data) Nordlys 2013. ISSN 0805-5440.s 3 - 3. Salamonsen, Anita. Pasienterfaringer som forsknings- og kunnskapsgrunnlag: Register for eksepsjonelle sykdomsforløp. Møte med Nasjonalt senter for erfaringskompetanse innen psykisk helse 2013-02-05 - 2013-02-05 2013. Salamonsen, Anita; Elisabeth, Hægeland. -Egeninnsats og kontroll over egen situasjon er viktigst. 2013. Salamonsen, Anita; Kruse, Tove Elisabeth; Eriksen, Sissel H.. Uventet bedring av multippel sklerose etter bruk av alternativ behandling. BestPractice Psykiatri/Nevrologi/Geriatri 2012; Volum 3 (9).s 28 - 30. Aanensen, Hanne; Salamonsen, Anita. Kan dårlig kommunikasjon i mellom lege og pasient utgjøre en helserisiko?. 2012. Foss, Nina; Salamonsen, Anita; Verhoef, Marja. Introduction of the approach of institutional ethnography in research of risk perception in cancer treatment. European Journal of Integrative Medicine 2012; Volum 4. ISSN 1876-3820.s 16 - 16.s doi: 10.1016/j.eujim.2012.07.511. Foss, Nina; Salamonsen, Anita; Verhoef, Marja. Introduction of the approach institutional ethnography in research on risk perception in CAM cancer treatment. 5th European Congress for Integrative Medicine 2012-09-21 - 2012-09-22 2012. Salamonsen, Anita; Lillenes, Ola. Boklansering: "Alternative veier". (data) 2012. Salamonsen, Anita; Hommedal, Stine. Valget kan være helsefarlig, mener forsker. (data) 2012. Salamonsen, Anita. Anekdoter eller vitenskap? Hva kan vi lære av positive brukererfaringer med alternativ behandling?. Saborg Kontaktforum 2012 2012-10-12 - 2012-10-12 2012. Svendsen, Eva; Salamonsen, Anita. Alternative veger til bedring. (data) 2012. Kiil, Mona Anita; Salamonsen, Anita. Barriers of Trust: transcultural experiences within conventional mental health service. European Journal of Integrative Medicine 2012; Volum 4. ISSN 1876-3820.s 157 - 158.s doi: 10.1016/j.eujim.2012.07.843. Kiil, Mona Anita; Salamonsen, Anita. "There is a River between us". Transcultural experiences within conventional mental health care. 5th European Congress for Integrative Medicine 2012-09-21 - 2012. Stub, Trine; Alræk, Terje; Salamonsen, Anita. The Red Flag!. 5th European Congress for Integrative Medicine 2012-09-21 - 2012-09-22 2012. Stub, Trine; Alræk, Terje; Salamonsen, Anita. The Red Flag! Risk assessment among medical homeopaths in Norway. European Journal of Integrative Medicine 2012; Volum 4. ISSN 1876-3820.s 94 - 94.s doi: 10.1016/j.eujim.2012.07.694. Salamonsen, Anita. A sociological approach to the study of risk associated with conventional and complementary medicine. European Journal of Integrative Medicine 2012; Volum 4. ISSN 1876-3820.s 96 - 96.s doi: 10.1016/j.eujim.2012.07.697. Salamonsen, Anita. A sociological approach to the study of risk perceptions and decision-making in health care. 5th European Congress for Integrative Medicine 2012-09-21 - 2012-09-22 2012. Salamonsen, Anita; Hem, Hilde. Nye kart?. (data) 2012. Salamonsen, Anita; Nordbrenden, Unni. Tar ansvar for egen helse med alternativ behandling. (data) 2012. Salamonsen, Anita; Hafskor, Magne Fonn. Nelly Kroksnes (75): Mirakelkvinnen. 2012. Salamonsen, Anita; Slettli Hansen, Christel. Pasienter forteller om egen sykdomshistorie. (data) 2012. Salamonsen, Anita; Solum, Eirik Svenke. Frisk med "alternative veier". (data) 2012. Salamonsen, Anita; Gran, Even. Ikke en propagandabok. (data) 2012. Salamonsen, Anita; Lillenes, Ola. -Med en fot i graven og den andre på et såpestykke. (data) 2012. Salamonsen, Anita; Slettli Hansen, Christel. -Med en fot i graven og den andre på et såpestykke. (data) 2012. Salamonsen, Anita; Kluge, Lars. Alternativt frisk. 2012. Salamonsen, Anita; Hommedal, Stine. Kutter kontakten med helsevesenet. 2012. Salamonsen, Anita. Dropper behandling på grunn av legen. (data) 2012. Salamonsen, Anita. Dropper kreftbehandling. 2012. Salamonsen, Anita; Øvreberg, Elisabeth. Dropper kreftbehandling ved dårlig kommunikasjon med lege. (data) 2012. Salamonsen, Anita; Solum, Eirik Svenke. Kommunikasjon, kreft og alternativbehandling. (data) 2012. Salamonsen, Anita; Slettli Hansen, Christel. Kan dårlig kommunikasjon mellom lege og pasient utgjøre en helserisiko?. (data) 2012. Salamonsen, Anita. Aktive pasienter takler MS best. (data) 2012. Salamonsen, Anita; Øvreberg, Elisabeth. "Aktive pasienter" takler MS best. 2012. Salamonsen, Anita; Slettli Hansen, Christel. "Aktive pasienter" lever bedre med sin MS-sykdom. (fulltekst) 2012. Stub, Trine; Salamonsen, Anita; Alræk, Terje. Et forskningsprosjekt om homeopati og sikkerhet. Forskningsdagene 2011 2011-09-27 - 2011-09-27 2011. Salamonsen, Anita. Searching for Dr. Supportive. Cancer patients' Choice and Use of Complementary and Alternative Medicine and Doctor-Patient Communication. Journal of Traditional Chinese Medicine 2011; Volum 31. ISSN 0255-2922.s 85 - 86. Salamonsen, Anita; Skjold, frode; Fønnebø, Vinjar. What are the differences and similarities in choice of CAM modalities in "exceptional" patients diagnosed with cancer, multiple sclerosis and chronic fatigue syndrome?. Journal of Traditional Chinese Medicine 2011; Volum 31. ISSN 0255-2922.s 85 - 85. Salamonsen, Anita; Førde, Olav. Har prøvd 50 forskjellige behandlinger. 2011. Salamonsen, Anita; Øvreberg, Elisabeth. Stiller som eksamensobjekt. 2011. Salamonsen, Anita. Kvalitative forskningsmetoder. Masterutdanningen samfunnssikkerhet, forkurs SOS-3001 2011-08-23 - 2011-08-23 2011. Salamonsen, Anita; Olsen, Maren Næss. Placeboaffekten: Tre NAFKAM-forskere. 2011. Kiil, Mona Anita; Slettli Hansen, Christel; Salamonsen, Anita; Stub, Trine; Kristoffersen, Agnete Egilsdatter; Berntsen, Gro; Emaus, Nina; Musial, Frauke; Grimsgaard, Sameline. Kvinnene leder an i forskning på alternativ behandling. (fulltekst) 2011. Salamonsen, Anita. The NAFKAM Registry of Exceptional Courses of Disease. Experiences & Challenges. Exceptional Survivors - workshop 2011-04-27 - 2011-04-28 2011. Salamonsen, Anita. Pasienter med uvanlige sykdomsforløp. Registrering og forskning. Forskermaraton, Forskningsdagene 2011 2011-09-27 - 2011-09-27 2011. Salamonsen, Anita; Krakstad, Anna. Håp og mestring. 2011. Kiil, Mona Anita; Salamonsen, Anita. Integrative encounters: Cultural perspectives on mental health in a North Norwegian community. 4th European Congress for Integrative Medicine 2011-10-07 - 2011-10-08 2011. Salamonsen, Anita; Kruse, Tove Elisabeth; Eriksen, Sissel H.. Bodily experiences in various systems of treatment among patients with breast cancer. 4th European Congress for Integrative Medicine 2011-10-07 - 2011-10-08 2011. Salamonsen, Anita. Searching for Dr. Supportive: Doctor-patient communication and cancer patients' use of CAM. 4th European Congress for Integrative Medicine 2011-10-07 - 2011-10-08 2011. Stub, Trine; Salamonsen, Anita; Alræk, Terje. Is it possible to distinguish initial homeopathic aggravations from adverse effects?. 4th European Congress for Integrative medicine 2011-10-07 - 2011-10-09 2011. Grimsgaard, Sameline; Salamonsen, Anita; Price, Sarah. Adjuvant acupuncture treatment for breast cancer patients undergoing chemotherapy. A randomized controlled pilot and feasibility study. ICCMR 2010 5th International Congress on Complementary Medicine Research 2010-05-19 - 2010-05-21 2010. Salamonsen, Anita. Observasjon som forskningsmetode. SVF-1050: Samfunnsvitenskapelig metode 2010-09-17 - 2010-09-17 2010. Salamonsen, Anita. Kvalitative forskningsmetoder. Masterutdanningen samfunnssikkerhet, forkurs SOS-3001 2010-08-19 - 2010-08-19 2010. Berntsen, Gro; Salamonsen, Anita; Gammon, Barbara Deede. Current concepts of patient centeredness in health service quality research. Conference for International Society of Quality in Healthcare 2010-10-10 - 2010-10-12 2010. Salamonsen, Anita; Launsø, Laila; Kruse, Tove Elisabeth; Eriksen, Sissel H.. From recipient to explorer. The choice and use of complementary and alternative medicine as a tool for coping with multiple sclerosis. ICCMR 2010 5th International Congress on Complementary Medicine Research 2010-05-19 - 2010-05-21 2010. Salamonsen, Anita. MS-pasienters bruk av alternativ behandling. Medlemsmøte 2009-05-05 - 2009-05-05 2009. Salamonsen, Anita. Kvalitative forskningsmetoder. Masterutdanningen samfunnssikkerhet, forkurs SOS-3001 2009-08-18 - 2009-08-18 2009. Salamonsen, Anita; Launsø, Laila; Kruse, Tove Elisabeth; Eriksen, Sissel H.. Unexpected courses of Multiple Sclerosis among patients using complementary and alternative treatment. BSA Medical Sociology Group 41st Annual Conference 2009-09-03 - 2009-09-05 2009. Sandaunet, Anne Grete; Salamonsen, Anita; Launsø, Laila. Brukerperspektiver på komplementær og alternativ medisin. Regional forskningskonferanse innen medisin og helse 2009-03-25 - 2009-03-26 2009. Salamonsen, Anita. Ønsker flere historier. 2008. Salamonsen, Anita. Teori og metode, data og teori. SVF-1050: Samfunnsvitenskapelig metode 2008-09-05 - 2008-09-05 2008. Salamonsen, Anita. Observasjon som forskningsmetode. SVF-1050: Samfunnsvitenskapelig metode 2008-09-19 - 2008-09-19 2008. Launsø, Laila; Kristoffersen, Agnete Egilsdatter; Salamonsen, Anita. Helsevesenets gullgruve. Nordlys 2008. ISSN 0805-5440.s 3 - 3. Salamonsen, Anita. Akupunktur mot brystkreft. 2008. Launsø, Laila; Salamonsen, Anita; Drageset, brit johanne. Register for exceptionelle sygdomsforløb. De kundskabsrige patienter. Skandinavisk konference 2007-11-26 - 2007-11-26 2007. Salamonsen, Anita; Nordbrenden, Unni. Alvorlig syke blir friske med alternativ behandling. 2007. Salamonsen, Anita. Observasjon som forskningsmetode. SVF-1050: Samfunnsvitenskapelig metode 2007-09-21 - 2007-09-21 2007. Salamonsen, Anita. Teori og metode, data og teori. SVF-1050: Samfunnsvitenskapelig metode 2007-09-14 - 2007-09-14 2007. Salamonsen, Anita. Intervju som metode. SVF-1050: Samfunnsvitenskapelig metode 2007-11-09 - 2007-11-09 2007. Salamonsen, Anita. Eksepsjonelle sykdomsforløp. Pasienten mellom ulike behandlingssystemer. Skandinavisk seminar "Eksepsjonelle sykdomsforløp - et vindu til brukerbaserte kunnskaper i Skandinavia" 2006-11-02 - 2006-11-02 2006. Salamonsen, Anita. "Medisin og samfunn". Seminarrekke SOS-1003 2006-08-20 - 2006-11-07 2006. Salamonsen, Anita. SVF-1050: Samfunnsvitenskapelig metode. Forelesningsrekke kvalitative metoder. SVF-1050: Samfunnsvitenskapelig metode 2006-08-25 - 2006-12-01 2006. Salamonsen, Anita. Eksepsjonelle sykdomshistorier. 2006. Salamonsen, Anita. NAFKAM - Unikt norsk forskningssenter. 2006. Salamonsen, Anita. Hun gransker gåtefulle sykehistorier. 2006. Salamonsen, Anita. Exceptional Disease Courses. The Patient Between Different Systems of Treatment. The North American Research Conference on Complementary and Integrative Medicine 2006-05-24 - 2006-05-27 2006. Fønnebø, Vinjar Magne; Launsø, Laila; Grimsgaard, Sameline; Salamonsen, Anita. The use of complementary and alternative medicine (CAM). Anticancer Research 2004; Volum 24. ISSN 0250-7005.s 3488 - 3489. Salamonsen, Anita. Radiointervju om Register for eksepsjonelle sykdomsforløp. 2004. Salamonsen, Anita. Uvanlige sykdomshistorier. 2004. Salamonsen, Anita. Fortell oss om eksepsjonelle sykdomsforløp. "Det er min kropp og derfor mitt valg!" En konferanse om alternativ medisin 2004-05-25 - 2004-05-25 2004. Salamonsen, Anita. Registreringsrutiner Register for Eksepsjonelle sykdomsforløp. Skandinavisk samarbeidsmøte 2003-09-09 - 2003-09-09 2003. Launsø, Laila; Grimsgaard, Sameline; Salamonsen, Anita. Exceptionelle sygdomsforløb. Skandinavisk forskningskonferanse om alternativ og komplementær medisin 2003-09-18 - 2003-09-19 2003. Salamonsen, Anita. Eksepsjonelle sykdomsforløp. Alternativmedisinsk forskningsseminar 2003-11-13 - 2003-11-13 2003. Salamonsen, Anita; Grimsgaard, Sameline. Satser på sopp mot kreften - forskere etterlyser utrolige sykdomshistorier. 2003. Salamonsen, Anita. "Praktiske løsninger kan aldri bli ideelle". En sosiologisk analyse av arbeidsplikt for sosialhjelp. 2002.